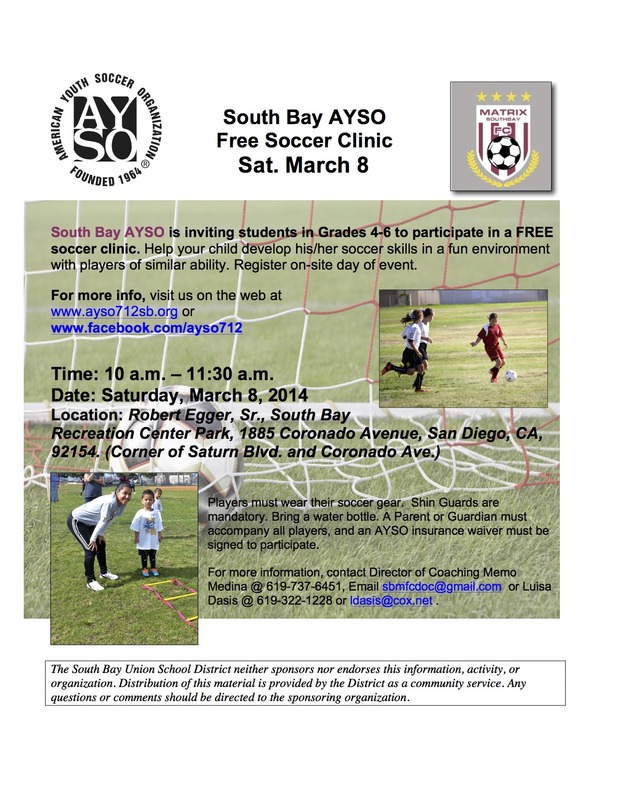 South Bay AYSO is inviting students in Grades 4-6 to participate in a FREE soccer clinic. Help your child develop his/her soccer skills in a fun environment with players of similar ability. Register on-site day of event.